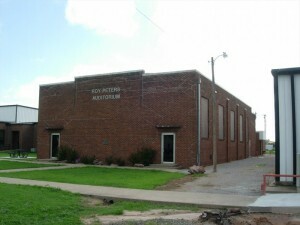 “The Alex school complex at 2nd and F Streets is the site of the Roy Peters Auditorium. 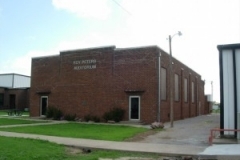 This brick building was constructed [by the WPA] in 1937 with an appropriation of $20,000. 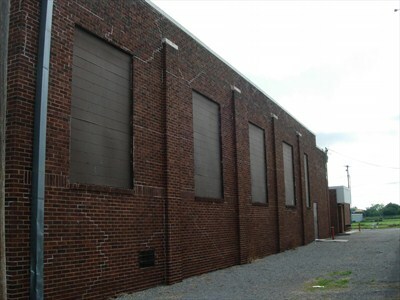 New aluminum and glass doors have been added, and windows on the south side have been bricked in. 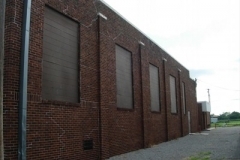 A brick extension has been added to the north connecting it to the school. Dr. Roy Peters, for whom the building was dedicated in 1998, was Superintendent from 1947 – 1961.